The Strand Magazine Critics Awards were announced on Thursday 10 July 2013. Faye Kellerman was given The Strand’s Lifetime Achievement award for excellence in crime writing. The ITW (International Thriller Writers) announced the winners the 2013 Thriller Awards on Saturday 13 July 2013. Thriller Master was awarded to Anne Rice in recognition of her legendary career and outstanding contributions to the thriller genre. 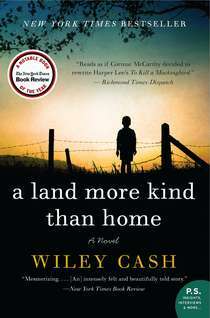 Congratulations also go to Wiley Cash whose novel A Land More Kind Than Home won the SIBA 2013 Book of the Year Award. The SIBA Book Award was created to recognize great books of southern origin.